In today’s world of construction, Cobra Stone Inc. is proud to be a leader in the field of natural stone production. 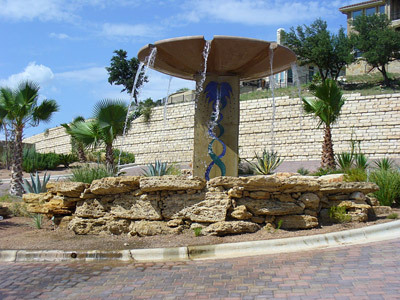 Cobra Stone Inc. is still considered to be one of the newer stone quarries in Central Texas. Within its first five years of business, Cobra Stone Inc. has expanded to meet and exceed its competitors that have been in the business for 20+ years. With a humble beginning, Cobra Stone Inc. began as a four man crew with one dump truck, four rock hammers and endless determination. With our service and quality, our customers recommended us to other businesses in the industry because of their great experience. This set the foundation for a lone little rock business to explode into a 24­hour operation. For our customers we offer free estimates and free samples of all the limestones and sandstones that we quarry. Cobra Stone Inc’s mission is to consistently provide superlative customer service, quality products and lasting relationships to each and every customer. Our quarry is open to the public which includes landscaping professionals, homeowners, stone masons and anyone interested in applying the beauty and uniqueness of natural stone to their upcoming projects. Whether your job is commercial or residential, national or international, our team is working hard night and day to meet and exceed all of your expectations. Cobra Stone Inc. Quality. Written in Stone.